There is a tiny mark on the underside that I have not been able to decipher. This is in beautiful antique condition, with a soft warm patina present. Two rings in the handle make sure it won't be hot. The hand embossed and worked decorative designs are what makes this collectable treasure a stand-out! 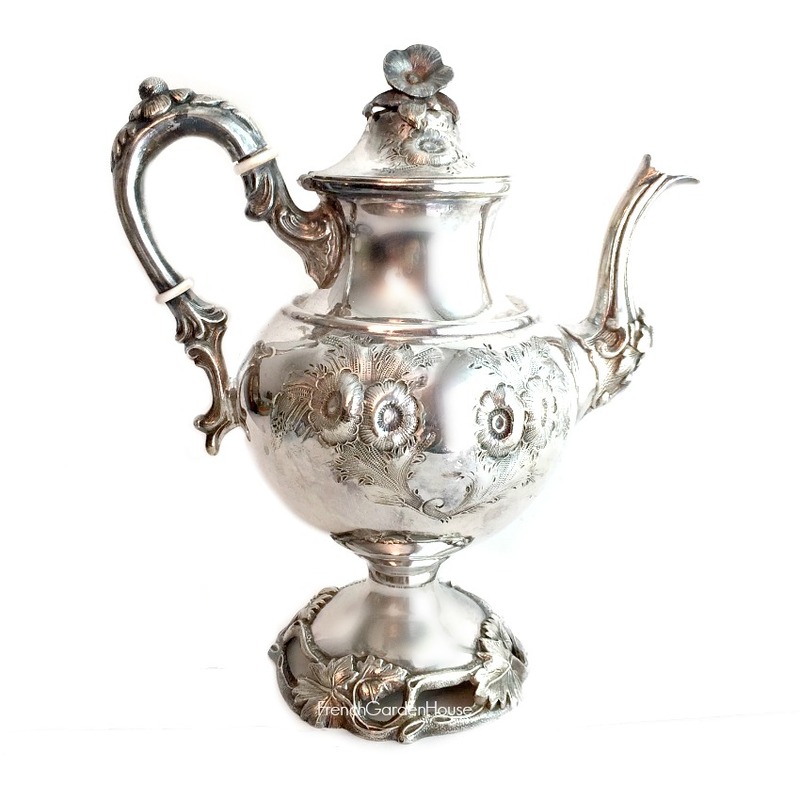 An enchanting addition to your collection of antique silver plate and sterling serving and entertaining pieces. Measures 10" x 6-1/2" x 11-1/4"h.